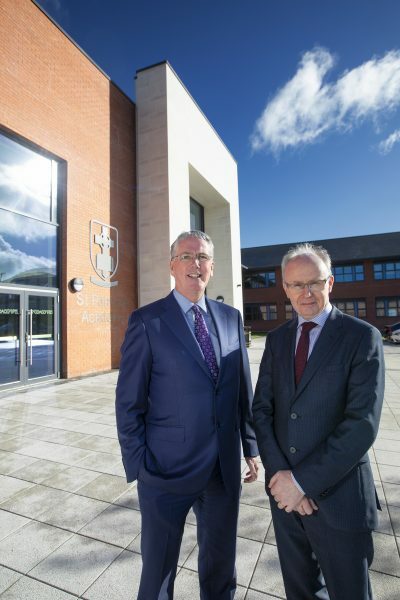 Former pupil seals triple-link to St Patrick’s Academy ‘ON THE BIG SCREEN’. Our very own James Conlon, A DUNGANNON man returned home last week to celebrate his unique connection to all three incarnations of St Patrick’s Academy. 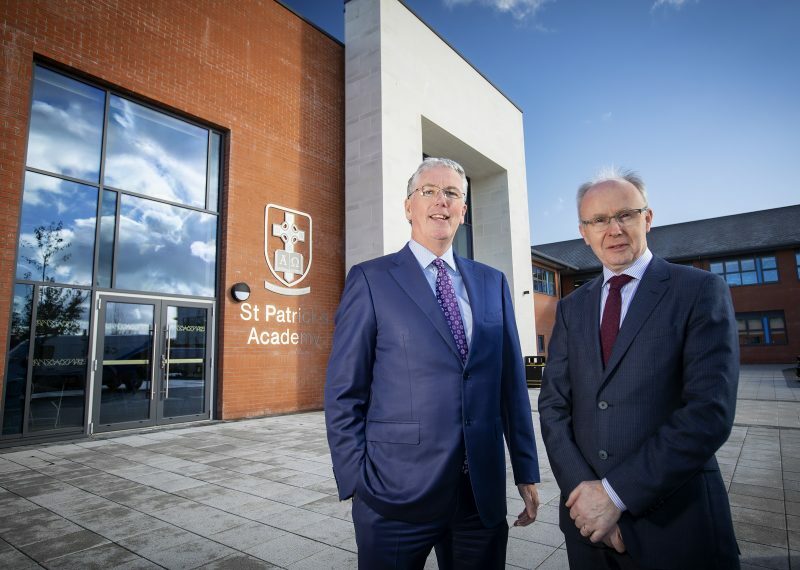 Just a few months old, the new Academy school building still has the wow factor with staff and pupils discovering new features in the state-of-the-art facility on a daily basis. 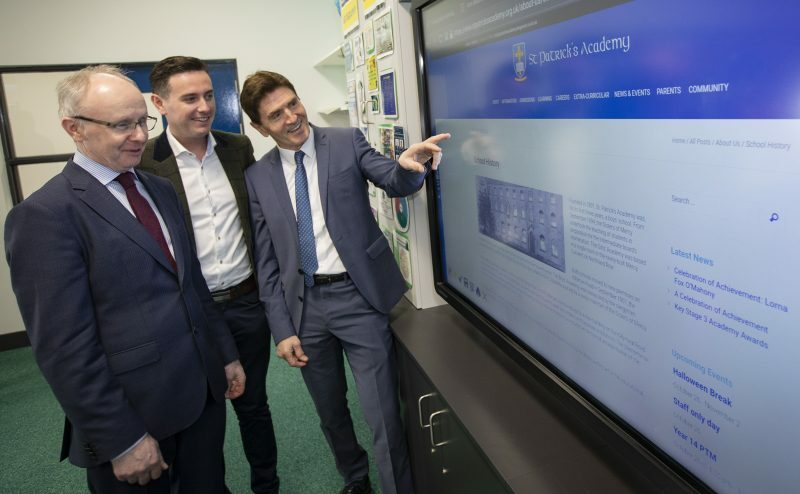 With Niavac being responsible for some of the most hi-tech equipment in the £27million complex James Conlon, a former pupil, remembers a time of simpler educational tools. James was a first-year pupil at the first Academy school in 1973, before it moved to new premises on the Killyman Road. 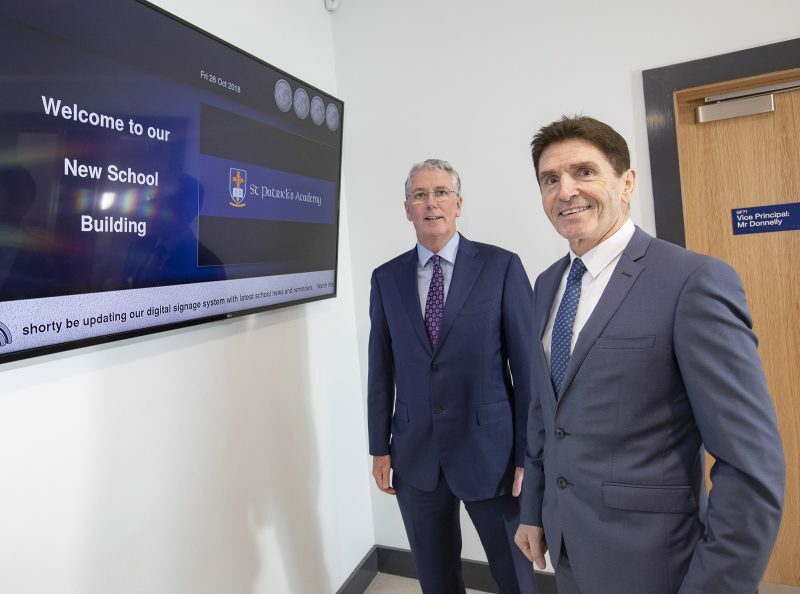 He made a welcome return to his old school on Friday – which is of course brand new – to inspect his company’s extensive installation of state-of-the-art audio-visual systems throughout the school. 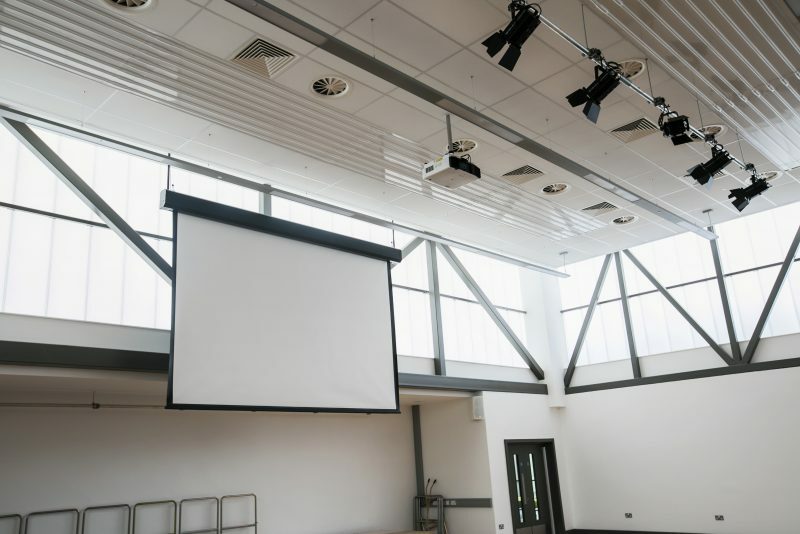 Niavac has also installed a school wide digital signage system that allows effective communication between staff, pupils and parents along with the latest in HD screen projection for the assembly and sports hall areas.